The TV nutritionist was seen arriving at the premiere of Once Upon A Time in London. Held at Troxy in East London, the bash celebrated the upcoming flick, which stars a host of famous faces including former X Factor star JJ Hamblett. Never one to do things by halves, Gillian, 59, opted for a daring black leotard and killer heels combo. Making sure all eyes were on her, the TV regular decided to ditch her trousers as she strutted down the red carpet. 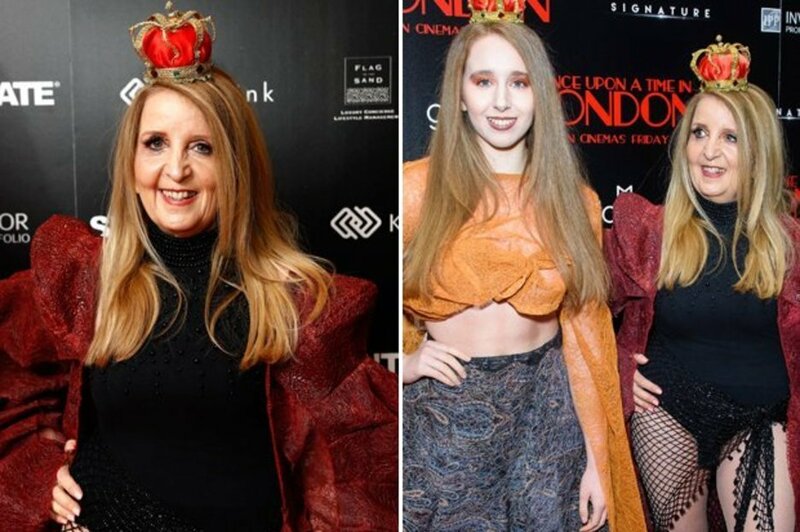 Joined by her daughter, Gillian worked her magic for the cameras – posing up a storm in the process. Standing with her hand on her hip, the starlet flaunted her impressive pins. Giving her outfit an extra kooky twist, Gillian opted for a long lace coat. Featuring large shoulder pads, the garment made it look like she had stepped out of an episode of The Tudors. She completed her regal look by rocking a miniature crown on her head. Also at the bash was glamour model Danielle Mason. The blonde babe opted for a typically suggestive outfit for her night on the town. Featuring a plunging neckline, her figure-hugging dress made sure her larger than life assets were centre stage. In fact, Danielle’s chest was so tightly squeezed into the outfit that it looked like she was about to spill out of the material at any moment.